A Progressive Public Organization invites applications from Pakistani Nationals for the followings post on regular / contract basis for ISLAMABAD region only. 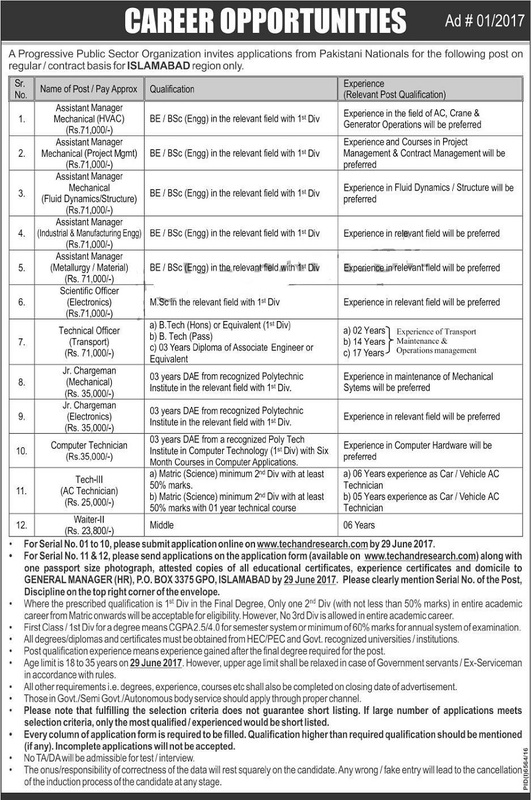 "GENERAL MANAGER (HR), P.O BOX 3375 GPO, ISLAMABAD PAKISTAN"
Note: Please clearly mention Serial No. of Post, Discipline on the top right corner of the envelope.